Seat Sponsors: Monday, Nov. 12 at 10 a.m.
All Members: Wednesday, Nov. 14 at 10 a.m.
General Public: Friday, Nov. 16 at 10 a.m.
Jon Hartlage has worked in the New York area as and Equity Actor in the roles of Frank Butler in Annie Get Your Gun, a feature tenor in his original touring show The Magic of Mario Lanza, Don Jose in Carmen, and Ferrando in Cosi fan Tutte. He performed at Lyric Opera Cleveland, The Bickford Theatre, and Papermill Playhouse, along with The Caramoor Music Festival and the Altamura Center for the Arts, where he collaborated with operatic legends Jerome Himes and Licia Albanese. Jon has appeared as Tenor Soloist with both The Greater Princeton and The Sussex County Youth Orchestras in NJ. He earned a Master’s Degree in Music from The Ohio State University prior to moving east to NJ. 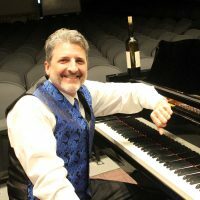 After spending years performing, he became the orchestra conductor for thehighlandstage.org, a company devoted to professional quality theatre arts for young actors and musicians aged 10 to 25. Jon has held that position and collaborated in its direction with his wife Faith since 2003, providing them the opportunity to guide and empower young people toward discovering their true voices as actors, singers, and musicians. Highland Stage youth are currently performing on Broadway and in Touring Companies throughout the country. 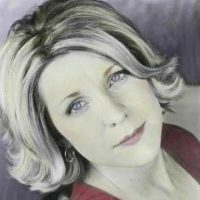 Jon is currently devoting time to promoting his not-for-profit MS Funding Corporation, voicesforfaith.com, devoted to supporting Innovative MS Healing and Sharing MS Hope. My biggest thanks goes to my lovely wife, Faith Anderson, with whom I share this amazing artistic work.